This last thesis, ‘Thesis 11,’ would become the dictum of the burgeoning cabal of Marxists in the social sciences during the 1970s. They saw their scholarship as revolutionary ‘praxis,’ believing that the underlying validation of their theorising and research was the extent to which it advanced the revolutionary cause. To them, the praxis of science, like everything else, reduced to the political – which is the politics of historical materialism, the mechanism of the class struggle that determines the course of history. Like the saints of the Apocalypse, with their pens for swords, these academics worked to advance the coming of the New Jerusalem. And so they despised their liberal colleagues, well meaning perhaps, but only serving to perpetuate the reign of the bourgeois with all its contradictions and class oppressions. What is the relationship between these two doctrines? To what extent does the one inform the other? Is PNS something of a new praxis for a new apocalyptic science of nature? It is important to recognise just how radical was this Marxist approach to research. We can do this by comparison with the approach taken by their left-leaning liberal colleagues. Be they chemists or social researchers, academics have long been openly and vocationally committed to their scientific practice so as to advance a social or political cause. They may hope that the effects of their research – whether these be in developing new fertilizers, or exposing domestic violence – will make the world a better place. And, indeed, we may find that their beliefs and motivations bias their conclusions towards what they see as the virtuous policy implications. But they would not avowal a licence to do so, and they would defer to no other validation other than the scientific evidence. In other words, liberalism had no extra justification for breaking with normal scientific validation. Not so Marxism. In fact, Marxists would often criticise the research and policy advice of liberal academics as only softening the political situation instead of what is needed, namely, to escalate the social contradiction to crisis. At this time many a social theorist, like the great Emil Durkheim, would be labelled a ‘functionalist,’ and scorned – not because his account of society might be wrong, but because it served no purpose but to reinforce the political status quo. It was these ‘new Marxists’ of the 1960s and 1970s who dragging Marxist scholarship from its open affinity with Soviet-aligned communist parties and with Stalinist Marxism (however belatedly so, for there was overwhelming evidence of the atrocities of Stalinism at least from the mid-1950s). They did not abandon Marxism, but humanised it through a retreat to the young Hegelian Marx, the one who had written those 11 theses all those years ago. 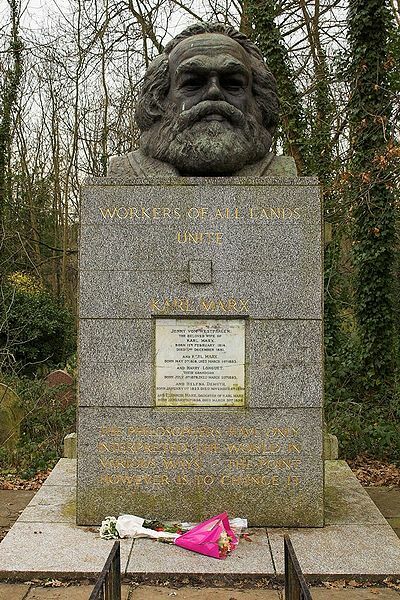 At present, Marxism neither interprets the world nor changes it: it is merely a repertoire of slogans serving to organise various interests, most of them completely remote from those with which Marxism originally identified itself. Nonetheless, this scholarship-as-activism persisted until the collapse of both academic and soviet Marxism in the late 1980s when many western Marxists fell in with the environmental movement and helped them expand their policy profile to social and economic reform. Perhaps we should not be surprised that a similar doctrine of science, validated as praxis, should emerge around this time in the environmental sciences. A science is in the post-normal condition when its conclusions are extremely uncertain, but, yet, urgent and drastic decision are dependent on them. According to Ravetz, Hulme and others, Climate Change Science has always been in the red band of this rainbow. In PNS theory, a science enters the post-normal condition when it is set loose from validation though established truths due to its inherent and irreducible uncertainties. (To understand this theory we must accept that normal science is about establishing absolute truths and that it is intolerant to uncertainty – of course many would dispute this…but I continue…) When normal scientific validation-by-evidence no longer works, this does not mean that there is no longer science, but only that science has entered its post-normal condition, where it is propelled into the political domain, because, despite being plagued by uncertainties, it has urgent policy implication for government (see the rainbow diagram right, and see my next blog for a discussion of policy-based-on-ignorance…but I continue…). For Funtowicz and Ravetz the post-normal condition is most apparent in the environmental sciences. On many a environmental issues ‘“soft” scientific information… serves “hard” political decisions’ [‘Post-normal science: A new science for our times’, Sci. European, 1990]. The problem for scientists is that they might try to practices normal science in a post-normal condition. To practice post-normal science properly, one must accept the complete politicisation of the scientific processes and accept that the science has moved from an evidence-base to a value-base. Because the evidence is so contested and inconclusive, the position a scientist takes overwhelmingly reflects his/her underlying values. No scientist can claim to be merely stating scientific truths, and so this condition requires and involves non-scientists in the scientific process, who serve to balance the normative bias of the scientists. It is through the value-base political debate that new knowledge is generated and the science advances. Now, whether this PNS analysis was explicitly used in order to legitimate the involvement of activist organisations in the development of the science is a moot point. And whether the PNS theory encouraged the IPCC authors to cite unsubstantiated claims in activist publication – and in contradiction to the conclusions of evidence-based science – I have yet to find any evidence of this and it remains for me an open question. But what is becoming clear is that PNS was used as a tool to discredit critics and sceptics in what would otherwise be seen as little more than ad hominem attacks. This is displayed most publicly and alarmingly in a newspaper review by Mike Hulme of Singer and Avery’s Unstoppable Global Warming. This review was published in March 2007, just after the IPCC 4th assessment was released, and just before Hulme published his own extraordinary and perplexing book on the controversy, Why we disagree about Climate Change. You may wish to read this review before we take some time to consider what the thinking behind it could possibly be. ..science is the process of developing theories and testing them against observations until they are proven true or false. But for Hulme this debate is not about testing testable theories at all. And this is Hulme main point – Climate Change Science just ain’t that kind of science. Confusing? Indeed. And if we had not boned up on PNS it would be hard to know what game Hulme is playing here. Whenever Post-Normal Science model is applied to Climate Change Science the underlying fact of the urgency to respond to immanent catastrophe is placed beyond dispute, for this high-stakes urgency is the very raison d’etre of both Climate Change Science and Post-Normal Science. Thus, any challenge to this very ground of the post-normal science of Climate Change is taken merely as an operation of the value-driven activities of this science that is already in the post-normal condition. This analysis explains why in the lengthy review Hulme never once considers one single scientific argument used to support the author’s thesis, and why he would begin a review of a book challenging (anthropogenic) Climate Change with these four words: ‘Climate change is happening.’ With that out of the way (or is it? – see below), he can use the PNS theory to explain their motivation, and he can navigate the tricky problem of both accepting the inherent uncertainty of the Climate Change Science while warding off those who use this uncertainty to undermine it. The problem with Singer is that he thinks (or pretends) that the debate is about ‘scientific truth,’ or as Hulme quoted earlier, about ‘developing theories and testing them against observations.’ It’s not about that at all! Because Climate Change Science is post-normal. The controversy is not of (normal) science, but of values, and, in order to progress the science, we should no longer pretend that it is a debate over the science, but we should make it explicit for what it is, namely, a political debate over values. Whatever one might say about the validity of the PNS analysis, what is clear is that it serves to take the heat of the problem of the (normal) scientific evidence for AGW by shifting the debate towards the value-base of policy responses to it. By posing Climate Change Science as post-normal, whenever sceptics (such as Singer) try to argue the evidence, Alarmists need no longer argue back upon the evidence, because PNS tells us that what they are really doing is disputing the values inherent in climate change mitigation. This feeds right into the popular manoeuvre to dismiss sceptical science as motivated against the values of environmentalism and against the virtue of collective action to save the world. It could be argued that there is a strategy here barely disguised in the PNS theorising: Climate Change Alarmists recognise that they cannot win the debate over the science, but that they might be able to win the moral debate by identifying support for the Alarmism with environmental values and basic humanitarian ethics. Hulme’s review, with its gentle advisory that the author’s lack ‘reflective transparency‘ about their own motivations, is perhaps symptomatic of the condition of the Climate Change Alarmism at its dizzy heights of confidence before it came crashing down. He does at least admit that this lack of reflection might also be a problem for extremists on the Alarmist side (including Lynas and Lovelock), and it is even ‘a chink of weakness in the authority of the latest IPCC science findings.’ But what about himself? The complete absence of any self-reflection in a review advocating self-reflection is truely baffling. If we place the PNS analysis aside, we are left with a dismissal of evidence-based science and a condescending personal attack on the alterior motives of the authors. Indeed, it is symptomatic of the degeneracy of the scientific debate at this time that this, and so many other prejudicial and anti-science attacks by scientists were not shouted down by their science colleagues. Hulme could be confident that only the derided and marginalised sceptics would call him to task for using PNS to discredit their science for its motivation, but as for the non-scientist readers the byline at the bottom of the review nearly gives it away as to the conflict of interest of the reviewer. This review of a book challenging the very basis of Climate Change Science is by a professor of ‘Climate Change’ and founding director of the Tyndall Centre for Climate Change Research. Marx is supposed to have taught that the validity of knowledge is in how it informs action. Does his epitaph live on in the post-normal science of Climate Change? In retrospect it could be said that PNS, and in particular the ‘Extended Peer Community’ was conceived in a left-wing framework, enabling little people to fight scientific battles against big bad corporations (state and private) and professional elites. In other words, the virtuous involvement of activists in the science was necessary in order to match the value-laden interventions into the science of powerful vested interests like the big bad energy-consuming states and the big bad energy industry. In the PNS analysis, the likes of Singer, McIntyre and McKitrick could only be seen as representing these interests. And this brings us back to a consideration of the affinities of PNS with Marxist analysis and specifically the science-as-activism doctrine of the neo-Marxists. the big bad corporations are the institution of the capitalist system. Science always evolves, responding to its leading challenges as they change through history. After centuries of triumph and optimism, science is now called on to remedy the pathologies of the global industrial system of which it forms the basis. — then we are pretty much back to the inevitable revolutionary ascendency of the proletariat over the bourgeois, with the activist-academics playing a leading role. 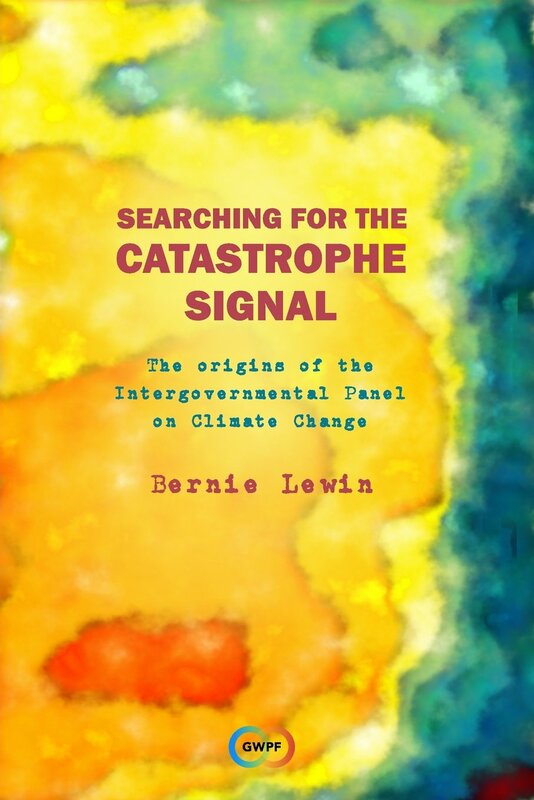 In this way the post-normal understanding of the practice of climate science resembles the neo-Marxist’s understanding of their own praxis in the social sciences during the 1970s and 1980s. Normal scientists have hitherto only interpreted the world in various ways; the point of the post-normal science is to change it. This entry was posted in Post-Normal Science and tagged Climate Change Scepticism, Dr Jerry Ravetz, Dr Mike Hulme, Marxism, Post normal Science. Bookmark the permalink. Thanks so much! More homework for me. The link between PNS and Marxism, either classical or neo- is not close at least in my conscious thinking. I had broken with political Marxism before the events of 1956, and in research and teaching in the history of science in the early 1960’s I saw its inadequacies as a heuristic for that field. As others have noticed, I still find ‘dialectical’ ideas very fruitful. Also, Silvio and I were always careful to steer clear of reductionist post-modern thinking. But there are many other important issues to be sorted out there. Thanks for visiting, and for these insights about the conception of PNS. Your early break with Marxist theorising (in the early 60s) is an important contribution to this analysis — as a clarification. I notice today that Eschenbach (in late comments on his own WUWT reply to you) has pulled back from a reduction of PNS to Marxism: Marxism is an interesting sidelight, and the similarities between PNS and Marxism are not immaterial, but that is all far, far from the core of the problem with PNS. I found some of his early remarks on this association (in the post and the comments) to have been unreasonable, unfair and unhelpful. I am just now preparing a piece for Futures magazine, including my first two WUWT postings plus Kevin McGrane’s earlier critique. I am including your posting, and decided to have a look at it again. I confess that I hadn’t taken on board the way that Mike Hulme used PNS to dismiss the critics. Food for thought… I recall discovering that Michael Polanyi believed that if a scientist advanced theories that didn’t fit with the ‘tacit knowledge’ of the field, the scientists were justified in dismissing him unheard. It happened when I read a student’s essay claiming this, and just before I scrawled ‘nonsense!’ on the paper I thought to check with Polanyi and there it was! And of course Karl Popper was known to warn students against reading certain books as they would only be confused by them. I hope to have a dialogue on all this some time soon, when I am clear of some very heavy obligations. Would you be interested? You may contact me via the email address given on the ‘About’ page.